What are the qualities of a great speaker? Who are the great speakers we can model? If you mentioned Martin Luther King, Jr., what makes his a historic speaker? What are the qualities that he exudes in his speech writing and public speaking? What are some of the aspects of his public speaking we want our students to model? What were the words or phrases that stuck with you throughout the speech? How does King use his voice and body language to captivate his audience? How does MLK utilize repetition in his speech to leave an impression on the listener? What other “moves” does MLK use in his speech to make a lasting impression on his listeners? Check out a list of Rhetorical Devices and Strategies that King uses throughout his speech. Now, let’s look at John F. Kennedy’s Inauguration Speech in January 1961. What public speaking skills does JFK bring to the conversation? How are JFK and MLK similar and different at orators? The majority of famous speakers today draw inspiration and borrow devices from great public speakers of the past like Martin Luther King and John F. Kennedy. The voice is unique in its ability to communicate. There is no one good speaking voice, but most audiences agree that a pleasant, expressive voice has certain pleasing qualities. A good speaking voice is not born, but developed through training and practice. Through proper use of breathing, resonance, articulation, and pitch we can communicate more effectively. Your voice and the way that you speak says a lot about you. Your voice is your most influential tool in a speech situation. Similar to reading, students are expected to learn public speaking in secondary school. But many of our students are not comfortable speaking in front of the whole class and do not understand that listening requires a person to give their undivided attention to the speaker (eye contact, body at rest, mouth closed, all distractions put away). Many of us will teach or are already teaching ELL students or students with limited English speaking skills along with student who are proficient speakers. How do we support all of our students as public speakers? Speaking and Listening is part of the Common Core and starting by the first grade, “students are expected to know and be able to do the following during small- and whole-group discussions: follow participation rules, build on others’ comments, and ask clarifying questions.” By middle and high school the conversations and group work is more demanding. Speaking and listening must go beyond the “turn and talk” or “think pair share” opportunities we offer students during class activities. Students must also be able to present information to small groups and large audiences. Students can utilize technology and podcast or video their presentations too. What are creative ways that you can have students practice speaking and build their communication skills? Our job is to excite students about the world, to help them see the role that they can play in making society a better place, to express their ideas powerfully, to see that our content area is about real world problems, issues, and possible solutions. Our content areas should show students the world, not just tell them about it. Our curriculum needs to include role plays, simulations, debates, formal speeches, and demonstrations. Screen-casts, podcasts, and video projects are all great venues that allow students to utilize speaking and listening skills. One of my most popular blog posts is 50 persuasive speech and debate topics. I wanted to come back to this topic of speech and debate topics to catalogue informative speech topics that students can complete to practice speaking and build their communication skills. Below are 12 different informative speech topics that creatively tap into research, writing, speaking and listening skills. The Letter Lecture – Students take turns “lecturing” to the class by reciting the alphabet or counting to fifty. Without having to think about what you are saying, you can concentrate on making eye contact, gesturing for emphasis, and other elements of great speakers. When lecturing students can put inflection on the letters or numbers as though they are really saying something, and meeting each classmate’s eyes at least once. This activity is more to help students understand inflection, emphasis, tone and volume, rather than focusing on a specific topic. Create an Imaginary or Mythical Creature – Describe the following: What does it look like (size, fur, scales, nose, claws, color, tail)? Is it a mammal, reptile, amphibian, marsupial, alien? What does it eat? What eats it? Why kind of habitat does it live in? Does it make a sound? What survival characteristics does it have (flies, swaims, runs, digs, camouflages, flights)? Present an informative speech on the creature. Splendorous Persons Award – We have all seen the award shows — VMAs, the Oscars, the Tony’s, the Emmys, and the Grammys — the award shows that celebrate and highlight people’s achievements. Find someone in class and interview them in order to find out what makes them so splendorous – ask them about their achievements, strengths, and what makes them unique, why they deserve this award. Write a short speech to introduce and present the award (think lifetime achievement awards) to the recipient. As the recipient, you also need to come up with your thank you speech. Who are you going to thank and why? What lasting words do you want to leave your audience with? Personal Icon Presentation – Students are to build a visual representation of themselves (a personal icon). Students can use their icons to share as much or as little about themselves they are comfortable with using any objects, scale models, photos, memorabilia, drawings, jewelry, cut-outs, or collections that they choose (Do not include names or photographs that would identify you to the rest of the class.) This can be a collage, a grouping of found objects, a piece of artwork, your imagination is limitless. Concentrate on the overall message about yourself that you would like to communicate through the choice of symbols. “I Have a Dream” Speech – In honor of Martin Luther King, Jr. students come up with a topic for their own “I have a dream” speech. In the speech students can talk about a dream for yourself and/or the country. The dream can range from the simple to the grand. The speech should include what the dream in, why it is important to them personally, and one thing they can do to accomplish the dream. Speech of Introductions – Begin by identifying a major, defining characteristic of “you,” a personality characteristic or a value which you believe in very strongly. Then, write a “personal statement,” a statement that defines the essence or a defining characteristic of you. The personal statement must be a positive statement about yourself; it cannot include negative words. Your personal statement will serve as the central idea of your speech. Develop one or two examples to illustrate what you mean and how this is true. Make yourself and your speech interesting by beginning with a question or anecdote. Provide an initial summary of the three or four defining characteristics you have selected to communicate about yourself. Discuss each of the three or four characteristics, offering examples or explanation to illustrate why your characterization is appropriate. Conclude by summarizing the three characteristics. Best Selling Authors – Ask students to speak clearly and forcefully by organizing thoughts and using their imagination to create a believable monologue. Act as an expert author on one of these subjects: Alternative Housing: Living in Tree Houses, 1,000 Useful Items Made from Spaghetti, Alternative Transportation: Roman chariots and horses, The Joy of Being Invisible: A pill that works, Changing Lifestyles: Rent a Mom or Dad. Teacher Travel Agency – You have just been hired by the Teacher Travel Agency as a travel agent. It is your job to present an informative speech on a specific travel destination to the rest of the class. The goal is to inform future travelers about this destination and why it is worthwhile for them to visit. Remember to include information that will be helpful to prospective travelers: weather conditions in the country, passport regulations, interesting tourist attractions, things to do there, places to stay, and additional information that is necessary for planning a wonderful excursion. Legends – A legend is a person, group, movement, or event which has influenced the way we think, the way we perceive our world. It may reinforce values we already hold or it may force us to reexamine our current values and establish new values. For this speech, students will inform the audience about a legend that has significantly influenced our world and or community. Thus, the legend might be a person, group, movement or event which has influenced the fields of Education, Business, Science, Art or Music. Or the legend might be a person, group, movement or event which has influenced American culture – Barack Obama to Jimi Hendrix, MTV to Google, Hillary Clinton to Madonna. The goal is not to outline the life of a person, group, movement, or event – the goal is to tell the audience how the legend changed things forever. Willy Wonka – You have invented a new candy. A meeting has been arranged with the president of Nestle Candy Company, the largest candy company in the world. At the meeting you will have a chance to inform the corporate executives of your candy invention. Write an informative speech to present to the president of Nestle about your candy invention. News Reporting – This assignment gives students the opportunity to see what it would be like to work as a member of a news team. Students choose a popular topic today and prepare a news report based on research and interviews. The Pet Peeve Speech – Express your frustration and anger about something that upsets you – a pet peeve. For example, a person who constantly interrupts or someone who is always on their cell phone. Voice your anger and illustrate what about the occurrence gets you so upset. What can people do to stop this annoying habit? Have additional speech ideas? Please share in the Comments section below. Fourth Viewing – Listen closely to music for more symbolism, foreshadowing, and confirm predictions for the next film. The more he talked about his different viewings I realized I do the same thing with Game of Thrones. I watch the episode the night it first airs for understanding, making connections from previous episodes and the books, and posing questions. The next day I talk about my first viewing with all my colleagues, and then between the night the show airs and the next episode, I might watch again or even twice for a reread. In my second and third reading I pay closer attention to match on match edits, colors, and catching events and mannerisms I might have missed in the first read. I guess I can credit HBO with helping me to hone my close reading skills. Close reading is a buzz word that has bombarded every English teacher since the introduction of the Common Core Learning Standards. The reality is that many Star Wars and Game of Thrones diehard fans are close reading experts who our students can model and mentor. So here ELA teachers are trying to get students to peel back to the layers of the texts utilized in classrooms and many students might already be doing this with their fan favorite texts whether it be The Regular Show on Cartoon Network or the entire Star Wars collection. We must tap into our student’s fan favorites and identify the close reading habits already mastered. Then, teachers can introduce additional thinking habits that will uncover new information, inspire the desire to learn more, and allow students to become Jedi Knights of interrogating texts. This week I presented at the annual Critical Questions in Education Conference in Baltimore, MD. I presented with my esteemed colleagues, Audrey Fisch and Susan Chenelle, authors of Using Informational Text to Teach To Kill a Mockingbird (2013) and Using Informational Text to Teach A Raisin in the Sun (2015). Texts like To Kill a Mockingbird and A Raisin in the Sun are widely taught in language arts classrooms throughout the United States. But how are these texts being taught? What kinds of questions are students being asked to think about in relation to these texts? How can we use these seminal literary works to unpack and uncover the difficult “hidden history” of race in the United States? How, using text pairings with informational and other literary texts, can we support our students in engaging in difficult but informed conversations about race in our classrooms? This panel will offer specific strategies and assignments developed in relation to best practices, research, and classroom experience. With Raisin, for example, we offer strategies to incorporate readings on the violence associated with housing desegregation and on restrictive covenants and duplicitous housing practices like redlining and contract selling to underscore the kinds of obstacles families like the Youngers faced. We also offer strategies to incorporate readings about the current state of housing discrimination and research about the inequalities of opportunity in order to underscore for students the ways in which the issues in Raisin continue to resonate and impact society today. With Mockingbird, we suggest ways to think through the troubled racial politics of Harper Lee’s 1959 novel, allowing students to explore the ways in which Atticus is not a hero and the blindspots in young Scout’s unreliable and incomplete narration of the events in the novel. Working with material about lynching and about African-American maids and nannies, for example, students can unpack Mockingbird’s complex racial politics. Sections from the new Go Set a Watchman can be used to further complicate our understanding of and the continuing relevance of both works. In addition to these two iconic texts, we will share contemporary titles like The Other Wes Moore by Wes Moore (2010) and Jason Reynold’s When I Was the Greatest (2014) that offer poignant glimpses into urban America. Participants will walk away with a list of more than a dozen contemporary Young Adult texts to expand classrooms libraries and build text sets that support units on race, ethnicity, and identity. Events in Ferguson, Baltimore, and elsewhere demand critical conversations in our classrooms about race and ethnicity in the United States. Teachers need to expose young people to diverse texts that help them understand the troubled history that produced the segregation, the urban blight, the hopelessness, and the abuses of power that characterize these troubling events. Our students need to have conversations about these issues that are grounded in historical facts and texts. 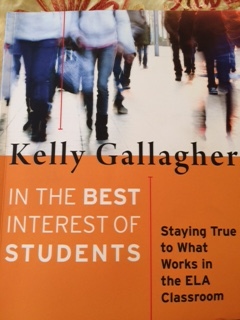 Literary masterpieces, like Mockingbird and Raisin, are the ideal places to begin these difficult conversations, but only when these texts are thoughtfully conjoined with other contemporary and classic, fictional and informational texts and resources that allow our students to be informed thinkers. Below are the slides for my presentation and a link to the valuable information from Audrey & Susan’s power point. How are you using these texts or others to engage in critical conversations with your students? I would love to know. Post your comments below. I want to continue my post from last week with a closer look at how to create text dependent questions that scaffold students’ reading and understanding of a text. I just finished reading Douglas Fisher & Nancy Frey’s TDQ: Text Dependent Questions Grades 6-12 (Corwin, 2015) and it is filled with valuable resources for all content area teachers. Close reading has been a buzz world in the realm of education since the introduction of CCLS. Fisher & Frey go into depth illustrating what close and critical reading lessons LOOK like and SOUND like in the classroom. 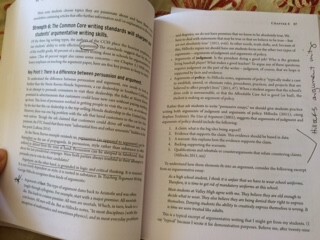 The authors define close reading as, “an instructional routine in which students are guided in their understanding of complex text.” (p.1) Incorporating close reading practices into the classroom teachers must select short, complex passages that promote multiple readings and challenge the readers thinking. Students are required to annotate the text: underlining, recording codes in the margins, circle key words, and writing in the margins. Most importantly, close reading requires collaborative conversations about the text, including argumentation. Close reading is not an independent act. Collaboration and discussion is key in helping students to think critically about a text. What does the text say? — It is important to address the literal understanding and basic comprehension based on explicitly stated information in the text. How does the text work? — Examining the author’s craft, vocabulary, and structure (Connects to CCLS Reading Anchor Standards 4, 5, & 6). What does the text mean? — Look at the “layers of meaning” in the text, the hidden meanings, inferences, and the author’s purpose. These habits of thinking and inquiry help students collaborate, speak, listen, think critically, question, infer, synthesize, make connections, revise, and draw conclusions. These are life long skills that are not only part of the standards but necessary for academic success and apply in the world outside of school. As I craft text dependent questions for my students in my English classroom I am more aware of asking Fisher & Frey’s four layers of questions so that I can help my students understand complex texts and push them to learn to ask questions themselves.